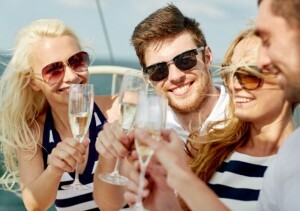 Company fun days, team summer events, parties on yachts, parties in marquees. Whatever you’re planning for your fun in the sun, we’ve got it covered. Our FREE venue search covers all of the above and more. Maybe it’s hospitality, like a day at the races or tickets for the tennis you’re after, or something simple like a barn, a field and a hog roast. It’s a Knockout, inflatable games, fun fairs – we have everything. We work closely with our associate company Event Experts to bring you the ultimate in party fun! Why not have a theme like our new 90s Warehouse Experience! Parties need catering and bars and we have everything from rustic cider tents to decked and covered VIP bars. Get in touch. Tell us how many of you there are, where you want to party, and we’ll do the rest.